We are super excited to be bringing members of the Indigenous Narratives Collective to the Autry National Center in Los Angeles. 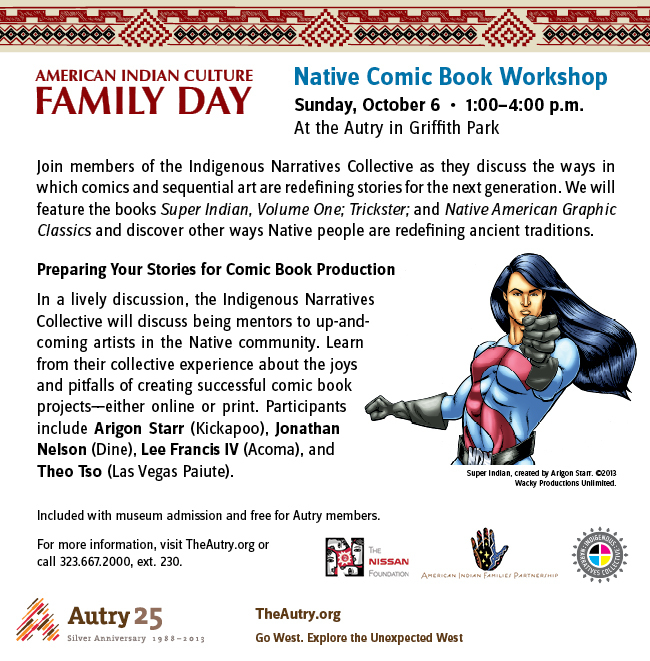 On Sunday, October 6th from 1-3pm, Arigon Starr, Lee Francis IV, Jonathan Nelson and Theo Tso will be on hand to tell folks about their experiences creating Native comic books and help interested community members learn how they can tell their own stories in comics or graphic novels. Here’s the flyer — we hope to see you there!